Join the Epilepsy Foundation of Northern California (EFNC) for their second annual Epilepsy Awareness Event with the San Jose Sharks! They will play the Washington Capitals on March 10th, 2018 at 11 am. 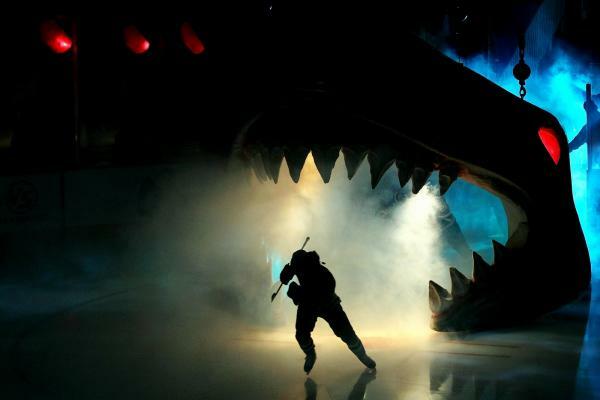 With the purchase of your tickets, you are invited to a “Shark Soiree” in the rink side room prior to the game. A light lunch will be provided as you get to know other families and individuals in the Epilepsy Community! Stay tuned for more details on this AWESOME event prior to the game. All attendess will be seated in the same section, so come join us and meet other community members living with and impacted by epilepsy! For Public Transportation information and options, click here. The “Shark Soiree” will occur prior to the game. This will include beverages and light snacks, educational vendors, and on opportunity to connect with others in the epilepsy community. More details to come! ** Please note: Tickets will be NOT be available upon purchase through this link. All tickets will be distributed at the Shark Soiree unless otherwise noted.